DJI Goggles Review – FPV Experience We Were Dreaming About ! DJI Goggles have been collecting a lot of publicity recently. Ever since DJI announced them packaged together with the Mavic Pro, people haven’t stopped talking about them. It does not come as much of a surprise considering there aren’t that many good FPV goggles on the market. How much will DJI Goggles cost? That was probably the most asked question ever since their official announcement. Well, considering there are no new FPV goggles being released that could pose a competitive threat to DJI, their price is definitely less than what some of us expected. So, it seems as though DJI picked out a very good timing for this. 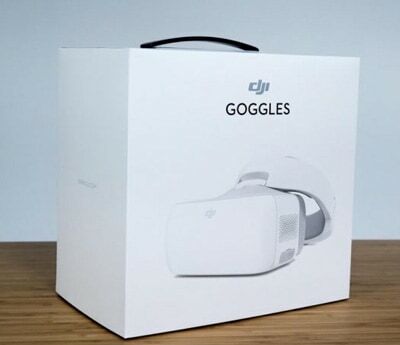 You can pre-order DJI Goggles for $449 but still, you will have to wait until the official release date to have them shipped to you. I would warmly suggest you hurry up if you want to pre-order a pair of your own since there is a limited number of them available. DJI, as always, is going by the golden rule – first come, first serve… So, make sure you hurry up otherwise you will have to wait for the official release date. 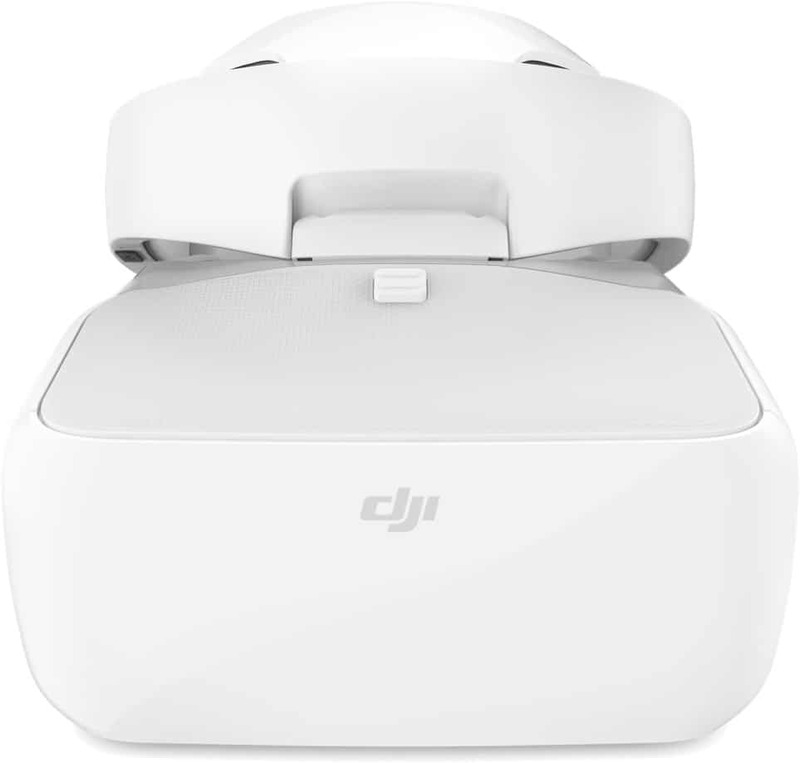 EDIT: Unfortunately, DJI Goggles aren’t available for pre-order anymore since all pre-order copies have already been taken! As some of you already know, DJI Goggles were first announced together with the amazing Mavic Pro. People thought the two will come bundled together. Some even suggested that the only way of obtaining DJI Goggles was by buying the Mavic Pro. Now, it’s pretty clear that’s not the case. So, for all of you who are wondering what the exact DJI Goggles release date is, it has been officially set for 20th of May, 2017! But, let’s not get distracted away from the main question of the evening – How good DJI goggles really are? That’s exactly what we plan on explaining by the end of this review. So, make sure you stick around and see whether or not DJI Goggles are worth the investment. What are DJI Goggles like? The outer appearance is spectacular and so is the build quality. They come in 2 parts, the headband and the goggles. The headband is made out of soft but sturdy materials and feels rather comfortable when being used. That’s because of padded insides and a knob for adjusting the fit. I’d like to say that they fit perfectly, but unfortunately, they don’t. Perhaps fit isn’t the optimal word I could have used there. Well, let me explain. It’s not that they are uncomfortable (far from that) but I have gotten the impression they are just a bit too heavy. With this, I am referring to the goggles portion that fits over your eyes and on top of your nose. It is a bit on the heavy side which made me feel slightly frustrated at first because it pulled my head forwards at all time. However, I got used to it after a few flying sessions so it should not be a reason to steer you away from purchasing them. Moving forward, let’s take a closer look at what you can find on the actual goggles. First off, you’ll need to charge and connect the two parts. They connect rather easily with no tools required whatsoever. On the left side, you will find a heat vent, a small speaker and a secured area with slots for HDMI, 3.5mm jack, and a micro SD card. The right side, however, is a lot more interesting. 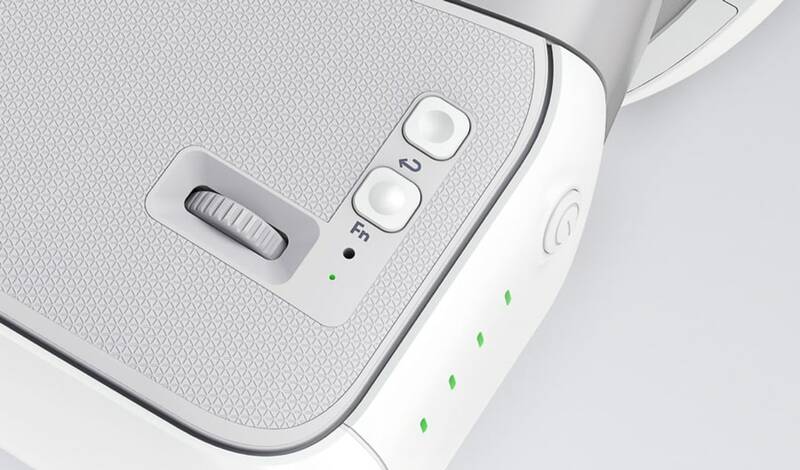 Other than the power button and the speaker, you will also find a touchpad area in the middle. Yes, a fully-fledged touchpad! You will use it to navigate the menus alongside 2 buttons below the edge which are used for exiting menus. Above the lenses, you will find a black sensor right between the two of them. It serves the purpose of a battery saver by shutting down the goggles if it senses they’re not being worn; and turning it back on if you put it on your head. In addition to that, you are also able to adjust the interpupilary distance of the lenses via a separate knob located on the down side of goggles, right next to those 2 buttons we mentioned above. Other than that, there’s also a LED charging indicator (red – dead, yellow – charging, green – fully charged) as well as a charging port. Let’s deal with the most frequently asked question first – YES! DJI Goggles aren’t bound to the Mavic Pro. It can be used on other models, but we will talk more about that below! Now that we got that out of the way, let’s concentrate on the more interesting things! You’ll be happy to know you can adjust pretty much all the usual features and settings via the built-in software. The most popular features such as ActiveTrack, TapFly, Terrain Follow and Tripod Mode are all here. There’s no worries in that department… as a matter of fact – there’s no worries at all when it comes to DJI Goggles. Camera flexibility is present as always with lots of settings to adjust, just like we’re used to. Seamless connectivity is another virtue. Pairing up DJI Goggles with your drone is simple enough (instructions are provided in the built-in software) and will only take a couple of moments to properly set up. Even though most people thought the goggles will only work with Mavic Pro (that’s what the announcement video suggested as well), in reality that’s not the case. Since DJI Goggles price is $449, it’s natural they work with all drones from DJI’s last generation. In addition to the awesome Mavic Pro, DJI Goggles will also work with all of their current generation drone models. That includes both versions of the Phantom 4, standard and Professional, Inspire 2 and the already mentioned Mavic Pro. Unfortunately for people owning older DJI models such as Inspire 1 or Phantom 3, these goggles will not work. On the bright side, there are plenty other FPV goggles that work with them so you won’t be left out. If you didn’t know this by now… We are sooo going to blow your mind right now! 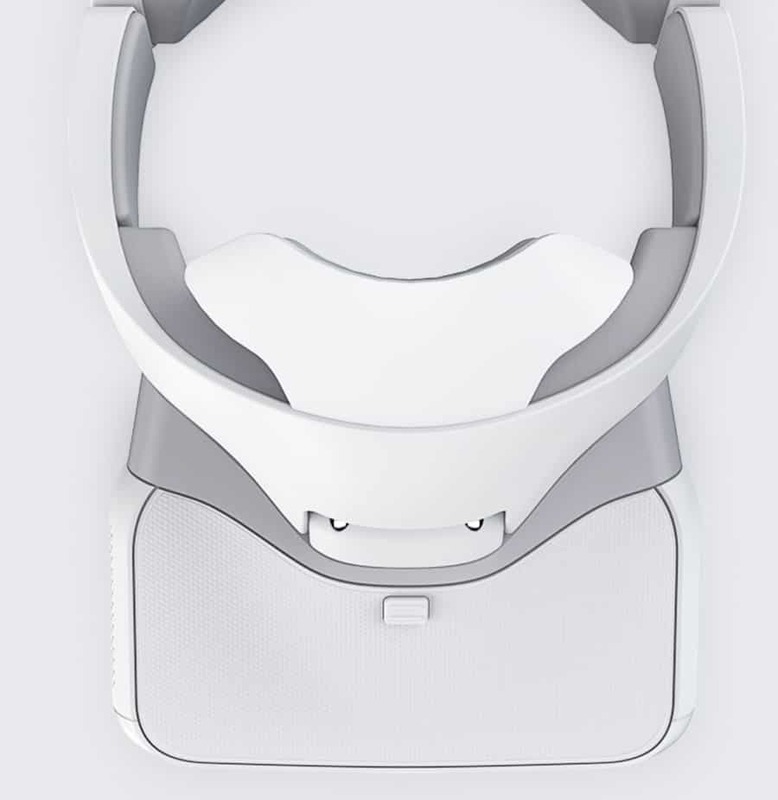 You see, one of the main selling points of DJI Goggles is their motion control feature. Well, technically – 2 of them. 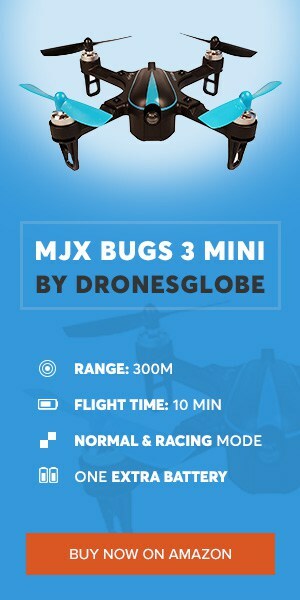 This does exactly what its name suggests – it allows you to take full control of your drone by tilting your head. The rotation is well-versed and is incredibly smooth, eliminating that awkward FPS-drop sensation that occurs with VR headsets. In this mode, you can only control the gimbal and not the actual drone. This gives out an incredible effect and I’m sure all of you will greatly appreciate it. The rotation happens in real time (advertised at 110ms but I think it is even less than that) and is really intuitive, further improving the overall immersion. Considering DJI’s fine reputation, it would be a huge absurd to find their goggles lacking raw power underneath the hood. Luckily, that’s not the case (as if anyone believed it would be). Believe it or not, DJI Goggles have an amazing operating time of whopping 6 hours. You read that correctly – 6 hours on a single charge. With that being said, your drones will have to be charged up several times until you run out of juice on your goggles. Moving forward, you are looking at 2 state-of-the-art full HD displays that provide with excellent video quality. 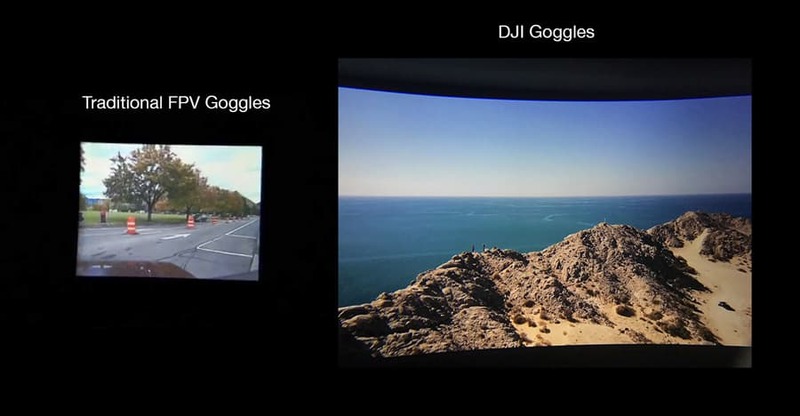 DJI Goggles allow you to choose between 720p @60fps and 1080p @30fps as the video resolution. Both of them are outstanding and work seamlessly with around 110ms of latency. It goes without question that these are among the best googles for drones currently available on the market. They even beat some of the enthusiast grade ones with the motion control features and excellent video quality. 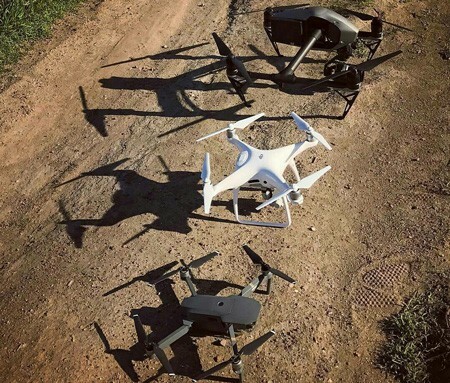 It seems as though DJI did not take no for an answer during the manufacturing process! All in all, DJI Goggles are an amazing piece of modern-day technology. They incorporate amazing visuals, great build quality and intuitive controls to unify a product that is bound to sell great on the market. Unfortunately, as we already stated in the introduction, they are not available for pre-ordering anymore (sold out) so we are afraid you will have to be patient and get them when they come out… and that’s on 20th of May. What do you think about DJI Goggles price? 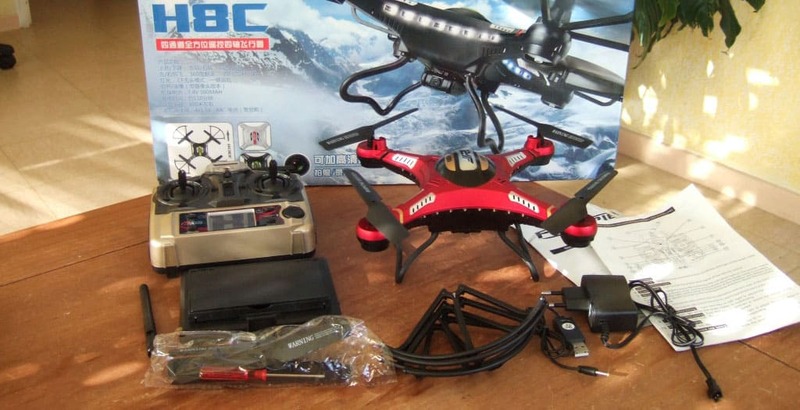 H8D by JJRC – the best quadcopter for under $200? Review : Altair AA108 – Toy grade drone that has no competition ! [Review] Syma X21W – This mini FPV drone costs only $49.